You are here: Home / Latest Articles / Family & Society / Stuck in a Rut? Have you ever found yourself stuck in a rut? Most people have, let’s be honest sometimes it seems like a constant rut. It is very easy to immerse ourselves in a particular routine, so much so that months and sometimes years seem to fly by. In all things we do, work, family, hobbies, we end up endlessly repeating the previous cycle, almost like a hamster running on a wheel. The first instinct for many is to try and actively change or positively enhance our predicament. We throw away time, money and effort in an attempt to correct, change or improve a situation which is often out of control or even beyond our control. When this doesn’t work the only obvious solution is to repeat the above which again will not work nor will it succeed in improving one’s lot. Often this thought process ends with only stress, exhaustion and misery. In a way it is a bit like being lost in the woods. Imagine you were walking in an unfamiliar area and maybe took a fall or slip down a bank and ending up unable to return to the original path. It would be a waste of time trying to struggle back to your original course and any effort to do this would only bring exhaustion and panic. The best and most sensible solution in this state would simply be to stop. Take time to reassess the situation. In the example of falling above, it would be prudent to assess your state for immediate survival, whether you are injured or the recovery of any lost items. The next concern would be to assess the lay of the land. Try to establish whether it is possible to follow a similar path to the one you were following or is a new path now required. If a new path is required then all the effort in the world will not reunite you with the original path. It is also worthy of note that it may be useful to dispose of items or thought patterns that are no longer required. In the woodland example, imagine you had been skiing and had found oneself in a rocky valley with no sign of snow. It would be insane to keep the skis on. Likewise we have many things that we cling to or attach ourselves to, both physically and emotionally, that whilst helpful in a certain period of our lives may encumber us in later life. Just like unnecessary skis, these need to be put aside. There is of course no need to panic and over intellectualise a situation. Any decision is best deliberated over but in a calm and non-reactive way. In a stressful situation it is rarely helped through panic or anger. Assess without prejudice or forethought and be confident in your decision. In ancient times our people were nomadic. The trait held by all nomads both past and present is that they do not carry unnecessary baggage. If an item is not useful, it is soon discarded. So at times when it feels like all is in a rut, it is time to take stock. Physically, emotionally and spiritually it is good to have a good throw-out every now and again. Sometimes you never know what you might find! 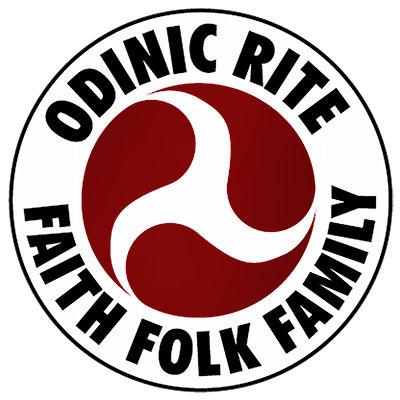 https://i0.wp.com/odinic-rite.org/main/wp-content/uploads/danger-soft-mud-1256177.jpg?fit=1280%2C960&ssl=1 960 1280 Hengest http://odinic-rite.org/main/wp-content/uploads/2016/05/or-badge400-transp.png Hengest2012-08-27 21:19:092019-02-13 19:42:54Stuck in a Rut?